Home » #SICFF2016 » Manipal Dubai Media » mudc » SOMC » No Big Cameras, Just Phones for Instant Filmmaking! 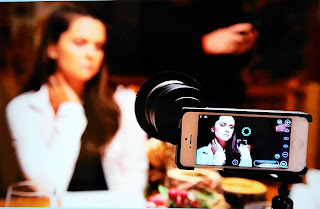 No Big Cameras, Just Phones for Instant Filmmaking! Gone are the days when movie-making required enormous amount of manual effort in pre-planning, fundraising, massive equipment budgets and post-production editing. 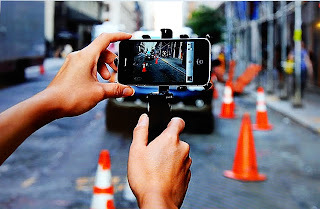 We live in a tech-savvy era and while it’s true that these things certainly help, the basic tool -namely camera, has become our daily portable necessity since most people have them in their pockets. Before you roll your eyes, consider this – the camera in your smartphone very likely has the ability to capture great shots utilizing a high resolution. Mobile film photography is becoming eminent day by day with an ever expanding sea of apps available for use by any amateur! 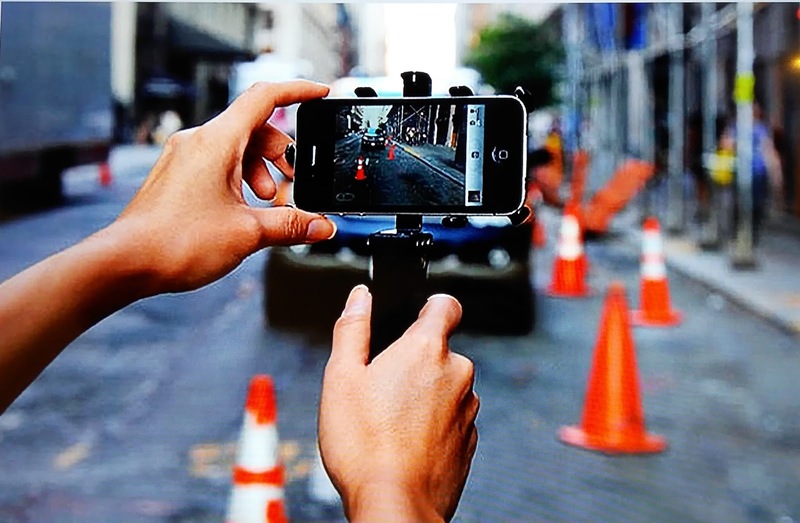 Saudi filmmaker, Khalid Fahad is one of those who is passionate about making movies using smartphone. Having made several short films and feature films, Khalid appeared at the Sharjah International Children’s Film Festival on October 24, 2016 to give students an insight into creative filmmaking session at Studio Station 3. The session was targeted at students aged between 18 to 23. ‘’When you tell big companies that you are going to use your iPhone to make a film, they’ll probably laugh off and think of you as an amateur. They might even ridicule you asking, where’s your big camera? But if you show them your ability, your ideas, your confidence in making one, then they’ll want you to make many movies for them,’’ says Khalid as he shrugs his shoulders while seated on a high chair placed on stage. Groomed casually yet decently, in his khaki trousers, tribal print shirt and leather loafers, the 30-year-old elaborated on how he aims to align himself with the trending technology and latest devices. Khalid with an exciting look on his face says that every year he has learnt something new out of this, currently referring to making movies using iPhone. ‘'Tomorrow, perhaps some new gadgets will shadow over and take over smartphones!’’ he laughs. Teenagers, youngsters and children in general nowadays get fascinated with hi-fi gadgets and devices that fantasise them. In fact, believe it or not, but children are way creative than adults like us, because they tend to think out of the box without limiting themselves. That is one reason why they get intrigued about new ways to try out things, for instance take film making itself. Children as young as the ages between 10 to 15 will and have premiered mind-blowing films here at the Sharjah International Film Festival itself. 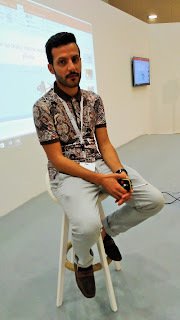 High-school and University students (aged 18-23), sit attentively at Khalid Fahad’s ’Mobile Film Photography’ session in Station 3 at Sharjah International Children’s Film Festival on October 24, 2016. ‘’It would be harsh and unfair to talk about JVC cameras, dynamic microphones for audio and lighting techniques in front of children. I mean, they wouldn’t know about all this. Probably they’ll just know about the lens and brand name of the camera like Canon. But still don’t you think a smartphone does it all?’’, Khalid poses a question as he tries to make a valid point. Smartphones have no doubt, decreased the time-consuming technicalities and methods since as Khalid says, ‘’You don’t have to worry about lighting, or sound, audio, of after-effects. All you need to do is be creative. Know your shots, your angles, your script and how you want to edit it out.’’ Several high-school and University students came to attend Khalid’s ‘’Mobile Film Photography’’ Workshop. Surprisingly, most of them were girls who seemed quite curious. When asked what did he think about the role today’s women play in filmmaking he said, ‘’Looking at the audience, I can give a heads-up to the fact that many young women and entrepreneurs are definitely gearing up towards the filmmaking industry. If you talk about North Africa, example Morocco and Algeria, I think the most famous films that have been made from that part of the region have been made by women,’’ he smiles. He further adds, ‘’Women have a different perspective all in all, they think differently than men at times and are usually sensitive to some matters for which- this is actually a useful tip that works in their favour since it makes their ideas stand out.’’ In his dynamic session, Khalid introduced 3 user-friendly filmmaking applications or in short ‘apps’ that can help any amateur person create a movie. The 3 apps were namely iMovie, Splice and Cute CUT Pro. He explained how to use these apps in detail along with their features. 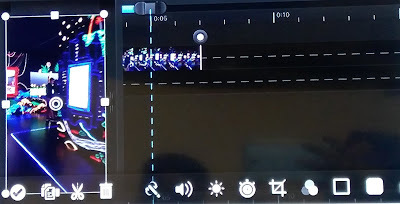 Cute CUT Pro is the most suitable one that can be used because it supports both the Snap Seed (vertical) aspect as well as the YouTube (horizontal) aspect of a video. However, it is a paid app! So, make sure you know what you’re downloading. Look on the bright side though! It gives you all the features to select, trim, add transitions of fade in and out and delete. It shows you the video’s entire timeline whereby every second is shown on the layout. What’s more is that you can add an audio or sound using the free sound available in the original album itself or to make it more gripping, you can use an audio directly by downloading from YouTube – just the audio! You will find an option that actually does that for you. 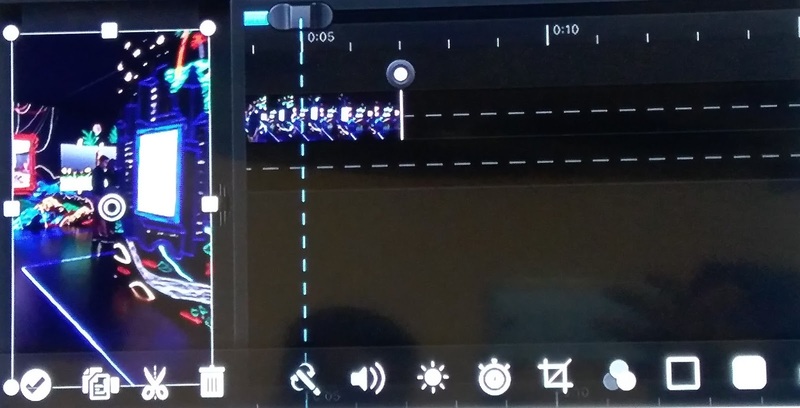 from a YouTube video on Cute CUT Pro app on iPhone. The app allows you to send up your edited videos directly via Facebook, Email and YouTube. There are also options available to change your video frame settings into portrait or landscape. Apart from this, Khalid’s most favourite feature in this app is the speeding feature that looks like a clock on the app, which he calls ‘The Magic Trick’! ‘’The speeding feature allows you to create some enthralling situations that can fool people into thinking ‘Wow, is that magic?’’. Most people will definitely get amazed if you show them how to make a glass disappear in the film without doing anything literally, or breaking glasses under a napkin after which the pieces of the glasses no longer exist. Cool isn’t it? The features that exist to make a film using an iPhone. However, all this comes with practice and good experience. ‘’I always tell myself that I can never compete with any other filmmaker or artist because there is always much more to learn from, ‘’ states the humble filmmaker. At the end of the interactive session, the young girls asked Khalid some practical questions whereby Khalid showed them a live example of a situation using the speeding feature. It was an informative session, no doubt and that’s how the students dispersed eager to try out the funky features back home.